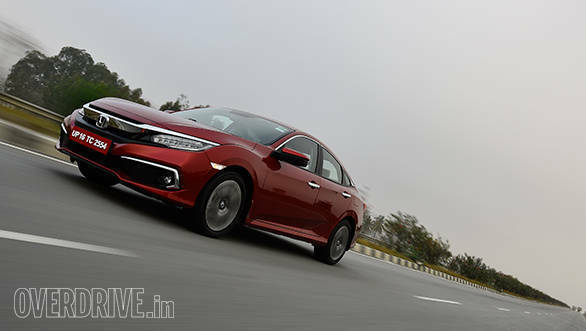 Honda has launched the tenth-generation Civic in the country, with a price tag that starts at Rs 17.69 lakh, ex-showroom. With the new generation, the Civic moves to new underpinnings, the compact global platform that's also in the new CR-V. As a byproduct, the Civic is longer, wider and lower than it has ever been. To complement the new styling, the Civic also finally gets a diesel option in the new 1.6-litre diesel, as offered with the new CR-V, though it's only available with a six-speed manual gearbox. If you want a petrol, you only get a tweaked version of the 1.8-litre petrol engine from the eighth-gen model which was on sale earlier, mated to a CVT gearbox. We've driven both, and you can read our detailed review here. In a nutshell, here's what we liked about the new Civic, and where we think it falls short. 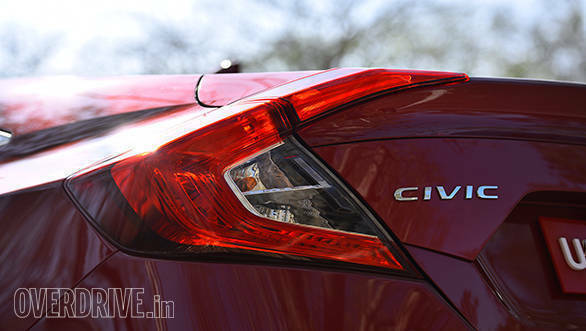 The Civic directly compares to C-segment sedans, such as the Toyota Corolla Altis, Skoda Octavia and Hyundai Elantra. There's no denying the new Civic is a looker - it's appropriately low slung, sharp edged and with just the right amount of curves thrown in for good measure. Also, thanks to being available as a 5-door hatchback internationally, it's got a roofline and rear end like no other. The Civic feels tightly put together, but like a typical Japanese car, its suspension can get noisy if you try and fly over bad roads at speed. That's not to say that it doesn't do a good job of keeping you and your occupants in comfort at city speeds, while still displaying excellent body control and traction through corners. 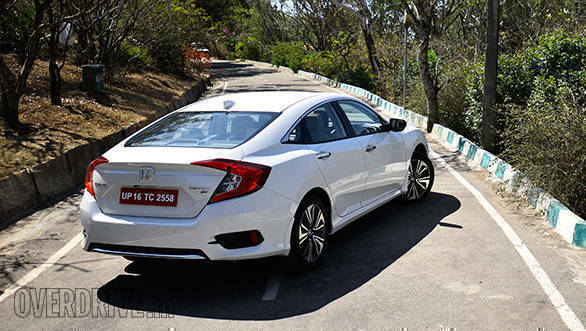 The Civic range begins at Rs 17.69 lakh, for the base petrol automatic V variant, which makes it about half a lakh more expensive than an equivalent Hyundai Elantra, but between Rs 30,000-2,90,000 more affordable than the equivalent competition from Toyota and Skoda. But considering the base variant still comes with four airbags, electronic safety aids, 16-inch alloy wheels, reverse camera and rear sensors, Bluetooth audio and steering-mounted controls and electronic parking brake, you're still getting a car that's not barebones by any means. 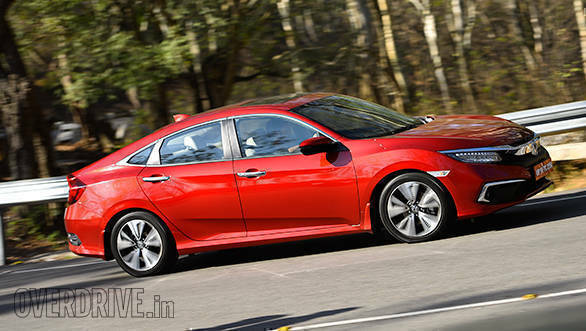 Honda says its powertrain selection addresses the bulk of sales in the segment - a petrol automatic and diesel manual. But there are still customers who asking for a manual gearbox with which to enjoy the free-revving petrol, and an automatic transmission for the frugal diesel. We're inclined to agree here, especially with the former point. 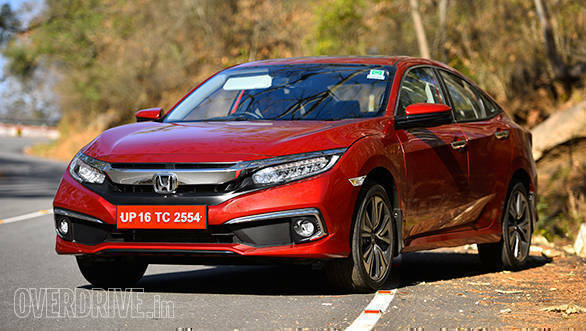 While the features list of the Civic covers most essentials and luxuries (electric sunroof, digital instrumentation, smartphone integration, keyless entry, automatic headlights etc, multiple airbags and more) the few omissions stand out and detract the feeling of value that some rivals offer. What could've made a difference? Wireless charging, ventilated seats, sun shades at the rear, a more premium brand-name audio system, automatic parking to name a few. 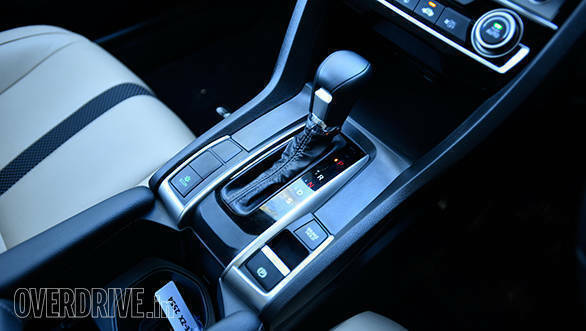 On the other hand, the diesel Civic with a manual gearbox starts with the mid-range VX trim at Rs 20.49 lakh. Though the mid-range VX trim does come with a fair amount of standard equipment, you've got no other option than to pay the high price of entry for the legacy of the badge. 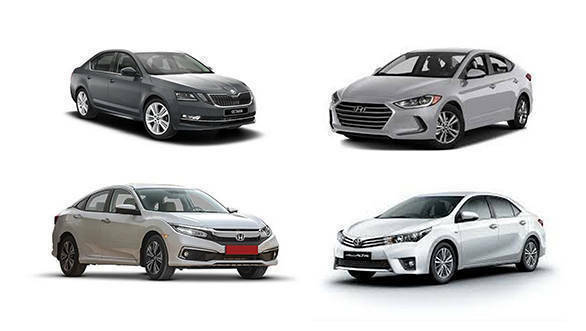 For comparison, you can buy an Elantra SX (O) diesel automatic for Rs 20.15 lakh, or a Toyota Corolla Altis GL (the top VL variant only available in petrol) for Rs 19.36 lakh, or the Skoda Octavia Style for Rs 20.79 lakh, all prices ex-showroom.